If you are a sports fan, especially of the classic American game of baseball, then Fluor Field in Greenville, South Carolina is the place for you. Listed as one of the top things to do and see in the city of Greenville, Fluor Field is a fantastic spot. Sometimes called Little Fenway, this great, intimate baseball field has been host to some great games and good times. Fluor Field in the West End of Greenville, SC, had its groundbreaking ceremony in May of 2005, and eventually opened to a stadium crowd in August of 2006. At the first game played within the walls of Fluor Field, our home team, the Greenville Drive, beat the Columbus Catfish 6 to 1. The same month that the field officially opened, it was named Ballpark of the Year by Ballparks.com. The first non-sporting event, an Edwin McCain concert, was hosted in the ballpark in September of 2006. Since then, the field has been host to countless baseball games (primarily home games for the Drive) and other non-sporting events, such as concerts, charity events, and the donor recognition event put on by United Way. Fluor Field is modeled after Fenway Park in Boston and was designed by the same man who renovated Fenway Park, Roger Bossard. The dimensions of the field are a scaled down version of Fenway, right down to “Pesky’s Pole” in the right field. The field has its own “Green Monster”, a 30-foot tall green wall in the left of the field that serves as a scoreboard. The field is host to 70 or more games each season, and thousands of spectators come to enjoy the games at Fluor Field. Visitors have boasted that the seats at “Little Fenway” are surprisingly comfortable for sporting event seating. Due to the smaller size of the field, it is also nearly impossible to find a “bad seat” in the stadium, so everyone will be able to watch the game no matter where you end up sitting! It is also widely known that the concession food and beverages served at the field are delicious and make every game even more enjoyable. Fluor Field is a great way for families to have a night or day out together, whether there is a game happening or not. They even have a spot for adults who are of age to enjoy alcohol at Club 500. The Greenville Drive call Fluor Field their home, so if you ever stop by Little Fenway to enjoy a minor league baseball game, get ready to cheer on the Drive! Locals and tourists alike love to come to Fluor Field to enjoy a good time with friends and family. It’s located within the West End of Greenville, which is a popular tourist spot in our small South Carolina city. If you find yourself in Greenville during baseball or training season, be sure to check out Fluor Field—you’re sure to have a great time! 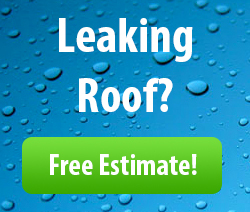 If you’re in need of a roofing contractor click here.